Post subject: Welcome to the RuneVillage Library! 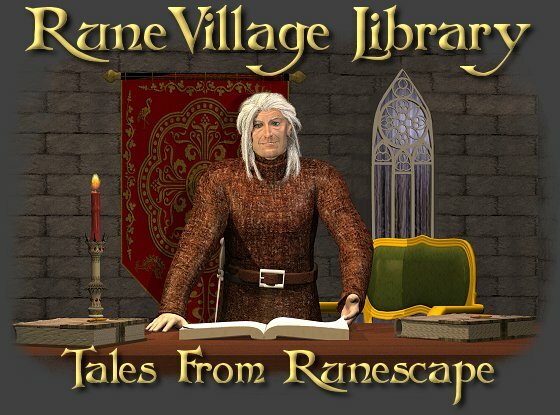 Something near and dear to me that we lost when we moved servers was the RuneVillage Library, just off the original RuneVillage home page. It held fan fiction stories that all sorts of RuneVillagers wrote over the years, from 2003 to 2007 and even beyond. Luckily, I had made a backup of the library, and have recreated it here for posterity. I kept these stories as close to their original form as I could. Some of them are fairly simplistic, while others are much longer and span more complex plots, such as PacoTaco's famous Legends of RuneVillage or Jaron's Zamorak's Bane series. I do hope you'll take the chance to read through some of these stories and get a glimpse of what RuneScape was like in its earlier days. Please, feel free to post and comment on the stories themselves, as that's what this forum is here for! Enjoy!